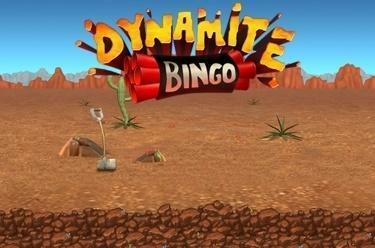 Play Dynamite Bingo online for free now! Watch out! Danger of explosion! But don’t worry: The explosives in Dynamite Bingo blow maximum loads of profits free! In this explosive version of Bingo you mine in the Wild West for the correct numbers to complete your winning pattern. Rest assured: Each correct combination is worth money. If you land a ‘bonus’ or even a ‘Bingo’ you can blow free the winnings in the mine! With ‘Latin Bingo’ you get to experience the entertaining numbers slot in a South American slot machine variant. 30 bingo balls are drawn after placing your stake. You win if the numbers drawn match the numbers on your bingo cards and form one of the wanted winning patterns. Afterwards you can improve your round wins by purchasing up to 10 bingo balls. If you land the bonus or bingo pattern on one of your bingo cards you trigger the Dynamite Bingo Bonus Game, which means you can cash in even more! Just click on the sticks of dynamite and blast free the instant prizes hidden behind it. Once you uncover an ‘End’ the bonus game ends and your winnings will be credited to your player account.